If we let Nikita dye his hair, next thing you know Anton Chigur will cattle spike you in the brain. It's a dismal tide. I’ve held off on commenting on the unfortunate situation developing around Nikita Filatov, if only because Ottawa has an equally unfortunate history of dumping on Russian players at the slightest notice of trouble. It lowers us to our basest demeanor, and I loathe to invite more “Shut up and go back to the KHL” nuance around one of our most talented prospects. No one is promised a spot on the team: you have to earn it. That’s the mantra. To refrain from enforcing this principle is to subject the team’s system, its sense of identity, its very being to anarchy. This is roughly the logical equivalent of a politician’s position on ‘family values’ for fear of rampant violence, even if no one can agree on what the family values, or the violence, will look like. My argument is that the risk inherent to showing what might be perceived as slight favoritism is much, much smaller than the risk of not allowing a high-pedigree, very skilled player the opportunity to prove himself, and thereby losing him to more lucrative contracts in his home country. Obvious point, maybe, but why exactly have we not seen Nikita Filatov on Ottawa’s powerplay? Why have we not seen him playing with Jason Spezza, which everyone and their brother predicted the moment news of the trade broke? It’s also completely unclear what Filatov has done to earn himself such harsh skepticism. In his six games (out of 21) with the club, he’s only once received more than 10 minutes of ice time. His linemates have been Eric Condra and Zenon Konopka, which is like asking a surgeon to perform an appendectomy with a dump truck. He had one assist and was +1. Compare to Mika Zibanejad, who, having never played in the NHL, and at three years younger than Filatov, received three more games, about eight to 10 more shifts per game, and also had one assist but was a -3. Or Da Costa, who continues to play game after game, even though clearly out of his depth and now chronically underutilized. Granted, Zibanejad and Da Costa are centers on a team perilously shallow down the middle, but the fact remains that the Filatov has done everything asked of his teammates – and more, given they weren’t asked to go to the AHL, where Filatov now leads the team in goal scoring – and doesn’t seem to have earned the same respect or opportunities. Maybe I’m just a fan of skill. As the team’s powerplay comes back to earth and the team’s 5-on-5 GF:GA ratio continues to sit somewhere in the bottom third of the league, I wonder why the team is so much more willing to give players like Nick Foligno the benefit of the doubt. (Hey, I like Foligno, this is more about giving other plays a chance than taking his away.) Filatov’s cup of coffee with the club didn’t last nearly long enough, if his fourth line minutes count at all, and already the team is struggling to create chances or get shots on net. As if creativity and offense isn’t exactly the reason Filatov was drafted 6th overall, and called the purest offensively gifted player available that year. Now we have word that Filatov is meeting with Murray to discuss his future, and rumours that he’s considering a return to Russia to play in the KHL, where he’ll surely be paid better, be treated like a pro, and maybe even get to play some ice hockey from time to time. Does this kid in fact have an enormous attitude problem? Are there secret dangers that lurk beneath the surface of his game which endanger the entire system on which the Senators are currently surprising the league (err, by not being terrible)? Or is the team as prone to their arbitrary preferences and prejudices as Senators fans can be? It’s a total mystery at this point what Bryan Murray’s motivations are, or their expectations for this player. Do they see him being a part of the club beyond this year? Why give up a third round pick if not? The trade for Filatov still has the potential to be a huge steal for Ottawa. It would be a shame if the team lost out on that opportunity for the sake of come nebulous concept of control. UPDATE 12:46pm: James is a longwinded shithead that cant just let Varada make a point and be done with it. I’m almost all the way with you on this one but there are a still a few issues for me. The DaCosta/Zibanejad thing is a different ball of wax (thing?) as you pointed out, both are centres, and I felt in my gut (science) the whole time that as an 18 year old Mika was going back to the land of Volvos and assemble it yourself cabinetry after 9 games. Which, who knows, may turn out to be far fewer games than Filatov will end up getting this season. If Filatov was a centre, I bet he’d be playing in Ottawa steadily. That said, I’m also a little confused as to why the kid’s hardly gotten top 6 time / much ice time at all in the games he’s been in. It makes me think that it is a bit of a waste of an asset to give up a 3rd rounder for a guy who as of right now is an AHL player. Considering we have a rookie 7th round pick on our first line and a (two time!) third rounder in net, quantity of selections can be just as important as quality especially during a rebuild. Anyway, this whole Russian bias thing…do Ottawa fans really have it? Or do we just kind of have shithead fatigue? As far as Russians go, sure overall we hated Kovalev but we all loved us some Volchy Bear. I think both of those guys merited their fan sentiment. As for the Russian Sub in the room, Yashin…2 contract holdouts? That guy would have to be FROM Ottawa to earn more jeers for doing that. Basically he was the Russian Heatley (Heater probably holds the crown for the most hated Sen ever and is Canadian as McCain Deep and Delicious Cake despite being born in Germania). If perhaps there appears a bias in regards to Ottawa drafting Ruskies until the KHL transfer agreement unsketchifies itself, it’s just smart GMing to go easy on selecting our friends to the East in a post-Alexander Radulov paradigm. Note to Radulov: Congratulations on your recent winning of the Whatever the KHL Championship Cup Is Called CUP! The OTHER Svenska Mästare! All this said, I more or less GET why Filatov might jet to the world’s 3rd best league for the reasons you outlined. Money, fame, home cooked borsht. It’s not an outlandish desire at all. I think its frustrating to be in a line of work where your career could end at any moment from an injury and you’re stuck in upstate New York making as much as a dude who sells speakers out of the back of a van (Note to dude: STILL waiting on those speakers, bro. I’m not MADE of waiting in this parking lot.) On the other side of the coin, it is still very early in the season. I remember wanting Butler to get called up so bad as he was tearing up the AHL and the Big Boy Sens couldn’t score to save their lives. When Butsy did get his shot (in I believe the second half of the season) he got the same start in the bottom 6 Filatov got only he had to wait much longer for it. The fact that this Filatov thing has gotten a little ugly pre-December is concerning. The leaking of his potential desire to go back to Russia (which he’s done once already in his short pro career btw) may very well end up serving as the nail in the coffin of his NHL career. Maybe Sens mangement have reason to believe that the kid is bolting at season’s end whether they give him 6 games or 60 games and don’t want to use an NHL roster spot to help him pad the prelim to his contract negotiations with CSKA Moscow. Especially so when it could come at the expense of the development of THE DOGMAN….who admittedly captured my heart long ago. Another important area of concern is that MAYBE THIS KID IS A SHITHEAD. IIIIIIIIII’m not even totally sure I believe this whole ‘Filly don’t do rebounds’ story and even if its not true or exaggerated, there’s red flags a plenty elsewhere, this kid has already been basically given away by a team that could probably use his offense more than any team in the league right now after picking him 6th, he was stripped of his captaincy of the Russian junior squad, apparently for being an entitled shithead – in the opinion of his Russian coach I might add, AND was read the riot act (along with Butler) by MacLean for dogging it during practice in Ottawa. After suffering through a team that was clearly a terrible vibe last season, maybe the kid didn’t really turn over a new leaf after all and Murray and MacLean don’t really have time for it. Especially with a lot of eager kids with tons of talent in the pipe. In my opinion, even though I think Alex Ovechkin is the most beloved (sorry Crosby a lot peoples cant stands yuh) and marketable (bring back that amazing “Midnight Filings” ad) player in the league I agree that there is some defintie xenophobia toward Russian players in the NHL. Though I am sensitive to this, I don’t want to give Filatov a free pass because he’s Russian so much as I don’t want to stick up for Kyle Turris because he’s Canadian. Both are red flag/big gamble players to me. It’s a long season and I think Filatov (and/or his handlers) might have played their hand a little bit too early. Maybe they didn’t. I still very much want to see him play in the NHL for the Sens and I think he’s made a strong case since this controversy started. The question is: Is his sudden burst of productivity in Binghamton a good sign or a bad sign? God bless Tommy Lee Jones. Wow, you really gave me some perspective on this situation. Filly really hasn’t had a fair shake to crack the line up. And quite frankly 4th line minutes with Contra and Lightbulb (zenon) is exactly going to showcase your offensive attributes. I am still for the “earning your spot on the team,” but maybe we should consider what kind of consideration Filly is getting. He certainly has been producing in the AHL which you think would give him a chance to crack the roster. I did read an article not too long ago about a coach staff member in Columbus. Thanks for the link to that article! I hadn’t seen that. It’s interesting: I know that the team, and really any team, should be interested in developing their prospects to reach their maximum potential, and so Filatov should probably be asked to go for rebounds. But if he doesn’t, and just remains an extremely skilled perimeter player, and helps the team win that way, then I’m not sure why he can’t be treated as a composite element of the team’s overall success. Play him selectively if you must, but at least derive some value from your investment. I mean, we don’t ask Carkner to score goals, do we? 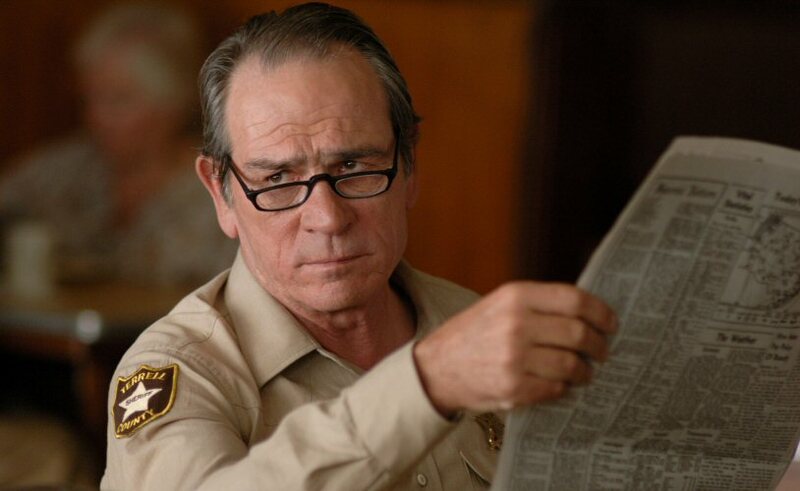 Seriously Tommy Lee Jones Awesome! try it for a few games, greening-folignot have speed to help out alfi and this gives filly time to play his style game with spezz and mach 9. Had that feeling when BMurr traded for Filly that he may be the one to replace he who shall not be named on Spezza wing. As a Jackets backer, I really hoped Filly would’ve turned into an Elite Top-6 player. Maybe there’s still a chance he will. Thanks for stopping by! We are hoping that too. Saw him play when the world juniors were here a few years ago and the kid was just electric out there. It’s a shame how his development has gone, I really thought he’d help the Blue Jackets big time. He’s still so young but the question for me is will he stick in North America regardless of how he does? Anyway, hope the Jackets can turn it around this season and get back in the mix. Loved seeing them make the post season a couple years back. Take care of our boy Vermette! !